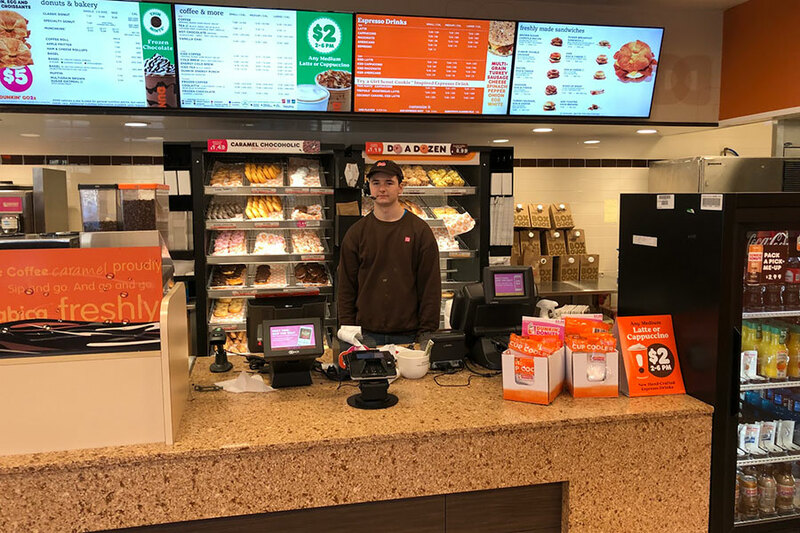 Pictured here is Sinclair during a shift at the Dunkin Donuts in Brookline, NH. Sinclair finds that having a job isn’t as bad as he thought it would be. 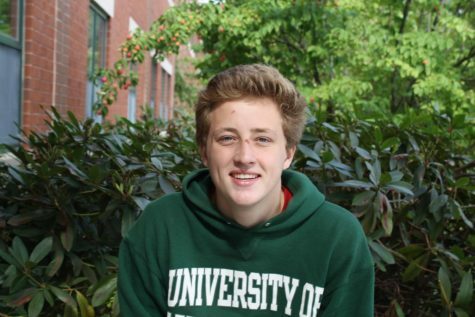 “I have a relatively low stress job which makes it a ton easier,” said Sinclair. After the bell rings at HBHS, students find their own activities to do after school. From starting their homework, to going to club events or playing sports, students seem to be very busy after school. A slowly growing new activity for many juniors and seniors is making money with their new jobs, but can throwing an extra three hours of work onto a student’s day really be healthy for their study habits and social life? This question can be answered either way, as studies have shown valuable aspects gained from working a job as well as many negatives. Walden University wrote about the many positive and negatives about students working a job in high school. A major benefit of working at a young age is the amount of learning students will gain for their future. Students can see the valuable impact that education has on earnings. Along with this lesson, having a job teaches students about the value of money. Instead of just being given money, students get to understand the true value of a dollar. Students also get to learn about the importance of budgeting, as they don’t make much and could easily spend it all if not careful. Along with the many benefits of having a job at a young age, there are still a good deal of negatives. Having a job could take a big toll on student’s academic achievements. Studies have shown that “Students who work upward of 20 hours a week suffer from reduced academic performance,” said Walden University. A major health concern that is caused by working a job is lack of sleep. After working for a few hours after school, students still need to come home,do their homework and study, which can cause for students to have late nights resulting in not enough sleep. These jobs also end up taking away personal time for students who want to socialize. Many students end up getting a job so they can find a way to make money in order to go out and socialize, but with working for hours over the weekend, many students don’t have time to hangout with their friends and family. Having a job during the school year is a very tedious task, as students have to learn to improve many skills. A job isn’t a bad thing for a student to get, but there are still some concerns to think about before working during your high school years. Students shouldn’t be afraid of trying to work a job, but they should come to understand that a job is still a lot of commitment and not just an easy way to make money.